Don’t make every conversation about forming them into a better person or correcting their behavior. Focus on being their friend. When communication doesn’t feel like a threat, conversation will relax and you’ll get to know each other a lot better. So when it comes to the stage where your teen is opening up to you, it’s imperative that you hear them out without being cynical, judgmental and avoid mocking or criticizing them. You have to learn to be a good listener because sometimes all your teen wants from you is your support, your understanding and the feeling that you care. Admit when you’re wrong. Tell them stories about when you were young, and tell them the truth. Teeanagers don’t want to be treated like children and if you want them to become independent adults, you’ve got to be honest about life and openly tell them what you’ve learned, be it from mistakes or personal wisdom. Part of the reason I loved hanging out with my parents is due to the fact that they thought I was hilarious. We sat around and joked about the bizarre things that life brings. If there was something I did that got on my dad’s nerves, you better believe that he was going to poke fun. The best part? I could poke fun back. My parents were less focused on being right and respected and more focused on letting me be myself. 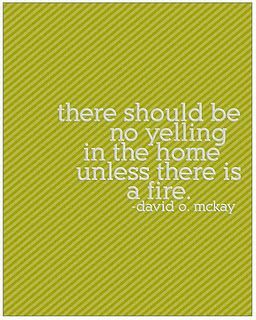 When it comes to the tricky points in your relationship when they want to do something you don’t agree with, don’t just say no with the logic, “Because I said so.” or my favorite, “my house, my rules.” Maybe that is enough logic for you, but teens will hear this and get frustrated because they feel like they aren’t being respected. So rather than shutting down the conversation, let the argument flow and explain your position with logic that allows your teen to understand your position. If they still push after that, then you may have to do the parent thing, and, “Put your foot down.” But at least they will understand a little better why you think what you think, and they’ll be less likely to disobey. All this to say, there will be moment when your teen won’t like you and you won’t like them. There will be tough periods and rough moments where the best method of communication is to let them be. Hormones can make conversation impossible, and during those times, you’ve got to allow them to be ticked off and stubborn. Empathize with what they’re going through, because you went through it when you were their age. Basically, treat your teen like a person. Don’t try to control too many things and when they do things that you don’t understand remember that this too shall pass and one day the bizarre behavior will subside to a minimum. Until then be there for them as much as you can and roll your eyes when you can’t make sense of them.